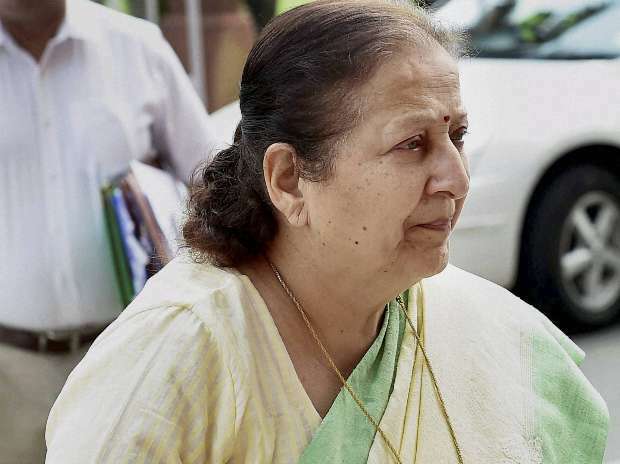 With the BJP appearing to be in a dilemma over fielding her, outgoing Lok Sabha Speaker and eight-time MP from Indore, Sumitra Mahajan Friday said she would not contest the ensuing general elections and has freed her party from making its choice. Mahajan, who turns 76 next week, said there had been speculations whether the party will field someone who has crossed the 75-year age bar. "There were speculations and so I decided to end them and free the party to make its choice. I will not contest Lok Sabha elections," she told PTI from Indore.